This barn was originally built in Trenton around 1900. 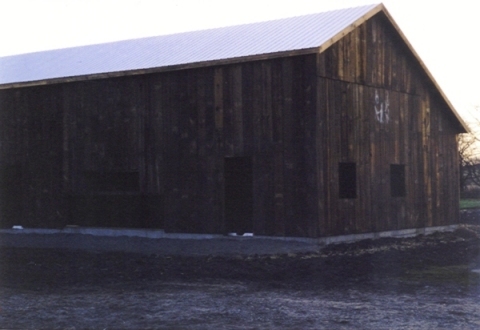 It is a pegged barn, originally used for general farm needs--livestock shelter, hay and equipment storage, etc. 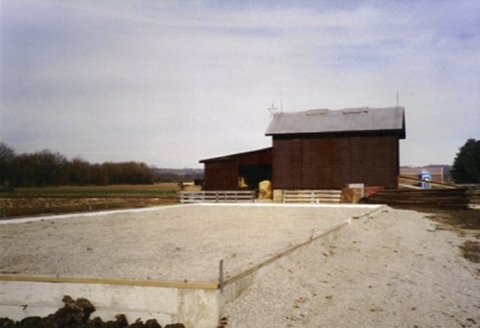 The barn was owned by Everett Holzer. Upon Everett’s passing, the property was sold in 1997. Clara Drive was to be extended through to State Street (Route 73). Therefore, the house and barn were scheduled for demolition. We wanted to save this barn, as a bit of history. Furthermore, Everett was a lifelong friend of Tom’s dad, Albert Theobald, and we wanted to save it as a tribute to these 2 special gentlemen. 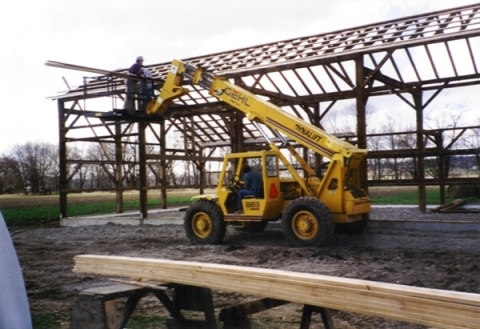 This was our first attempt to move a barn. 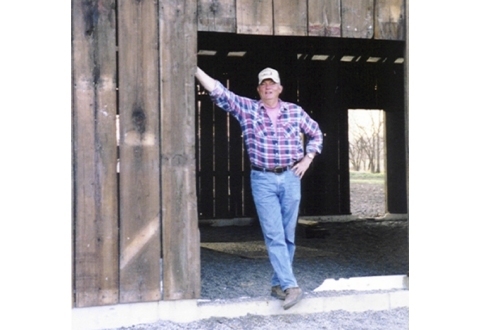 Dave Gaker, a local timber framer, was our project advisor. 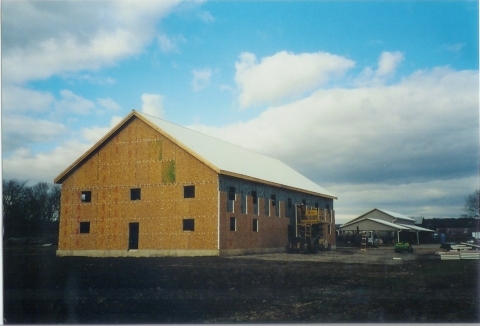 The barn was carefully marked, piece by piece, before dismantling. 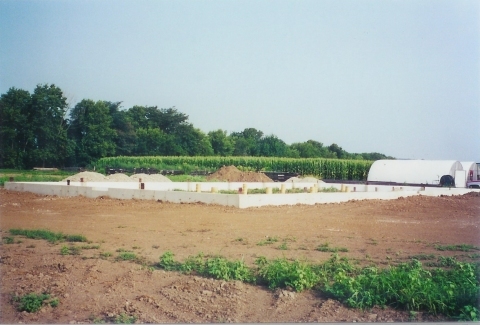 It was moved to our farm and reassembled here in 1998. 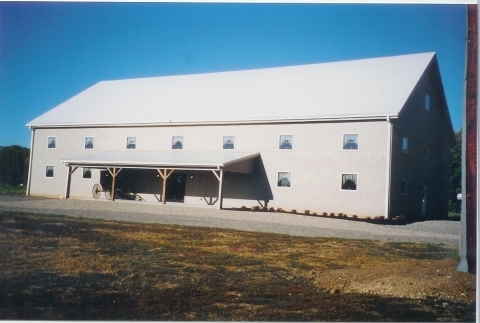 After reassembly at Barn-n-Bunk, the barn was used for special craft shows, a wedding, catered dinners, etc. 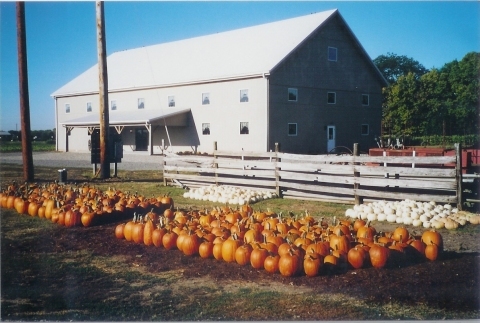 In 2001, we opened this barn as our Ice Cream & Candy Shop. In 2005, we added the Deli. 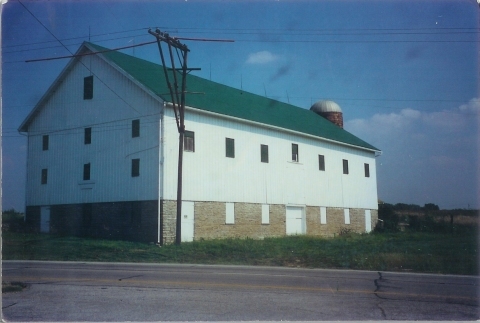 This barn was originally built in 1893 on Hamilton-Middletown Road (Route 4) near the present Tractor Supply Store. 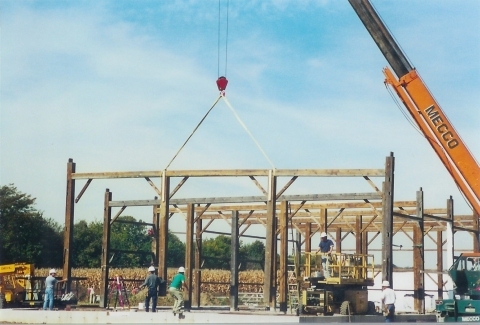 It was a three-story white bank barn, located close to the highway. 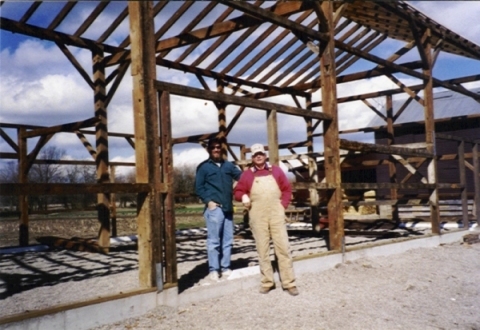 In August, 2001, Tom and Brian worked with a crew of carpenters and timber framer, Dave Gaker, to dismantle the barn and bring it to our farm. 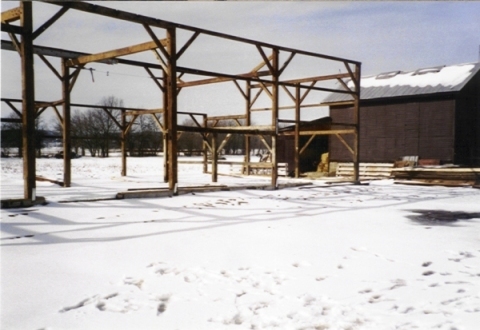 This barn is a pegged barn; a diagram was made and all timbers were identified as they were disassembled. 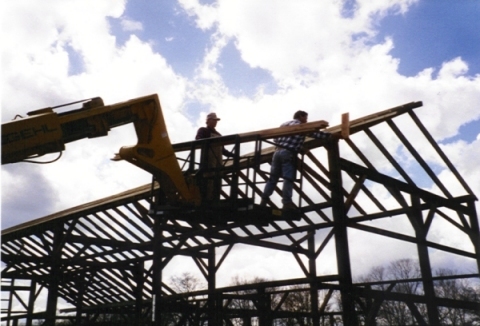 In 2002, the crew of carpenters began to re-assemble the barn at its present location. 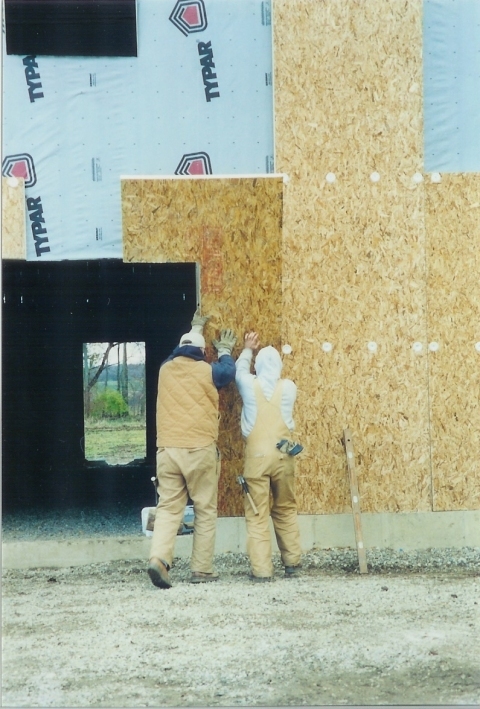 All lumber in the barn came from the original barn, except for the roof. The timbers originally extending down through the bank level were ripped to create the railing for the upper lofts. Stairs were made from other timbers in the original barn.